Paul Bergé of PBI International has created a TIMELINE © for a significant portion of the Automatic Identification Industry from 1968 through 2014. A picture is worth a thousand words. 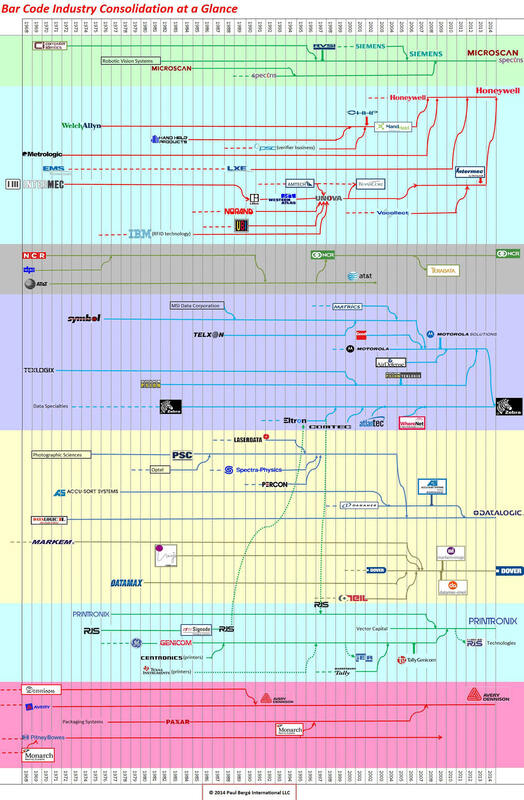 This TIMELINE does an incredible job of showing many of the companies that have been involved and how they have consolidated over time. A must see for anyone in this industry.